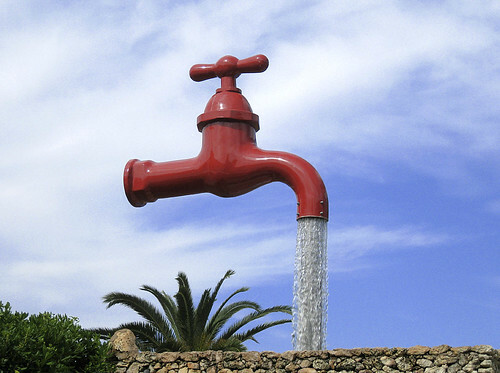 A fresh post titled Magical Floating Water Taps Around The World has been made and the contents of this post has been merged in that post. Please ignore this post and visit the newly created post. Magical Floating Water Taps are Public Art/Fountains which appear to be floating freely in the air, have no apparent plumbing, yet deliver a constant stream of water. It is not known which one of the above was originally created and which were copied later. Magical Water Tap at Aqualand, Puerto de Santa María, Spain. 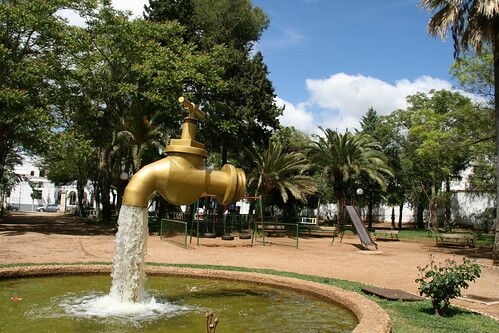 Magical Water Tap at Olivenza, Spain. Try to guess how these magical taps work else click here to see the explanation. Source of info: My curiosity was aroused by the image of the Aqualand Magic Tap which I recently saw in Wikipedia and a search on the WWW yielded just four results. 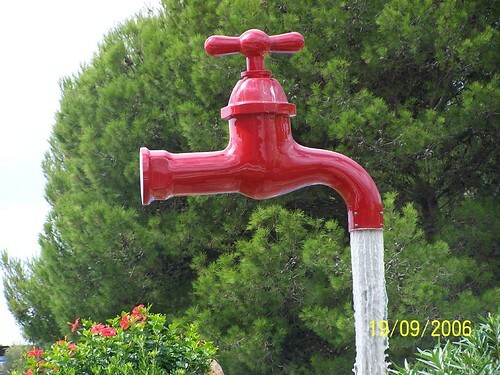 I request my readers to inform me if similar Magical Taps exist at other locations, so that I can include those also in this collection - Thanks. I saw one in the front lobby of Rippley's museum NYC. Sorry, don't have any pics. I don't know why...I should have clicked one. Thanks FUA for the info. I tried a quick google search for its image at Ripley's museum, NYC but have not succeeded so far. I will try to make a deeper search and if I find a photo of same I will definitely include it. All the best and thanks once again for the info. Thank you Chris. Great find. I will include it soon in the collection and needless to say give you the credit.